Stair systems manufacturer L.J. 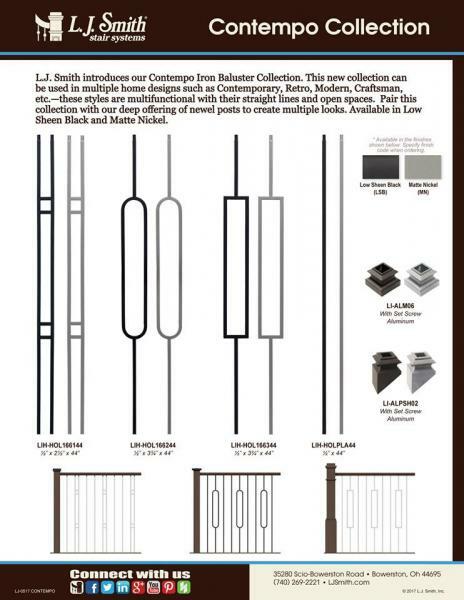 Smith has launched the Contempo Collection of iron balusters and expanded its Linear collection to include a metal newel option. The durable Contempo Collection adds a sleek, modern option to the company’s more than 75 iron baluster designs. The multifunctional style boasts straight lines and open spaces and complements contemporary, retro, modern, or Craftsman home styles. "We believe the Contempo Collection adds another dimension to our ornamental iron baluster selection," says Craig Kurtz, president of L.J. Smith Stair Systems. "Coupled with the warm touch of a wooden handrail, the beauty of these new iron baluster designs can illuminate a staircase." The Contempo Collection comes in four styles, including straight-line, rectangular vertical, oblong vertical, and ladder designs. Each option is available in either a low-sheen black or matte nickel finish. The balusters can be paired with numerous L.J. Smith newel and rail designs. The collection is for indoor use only. 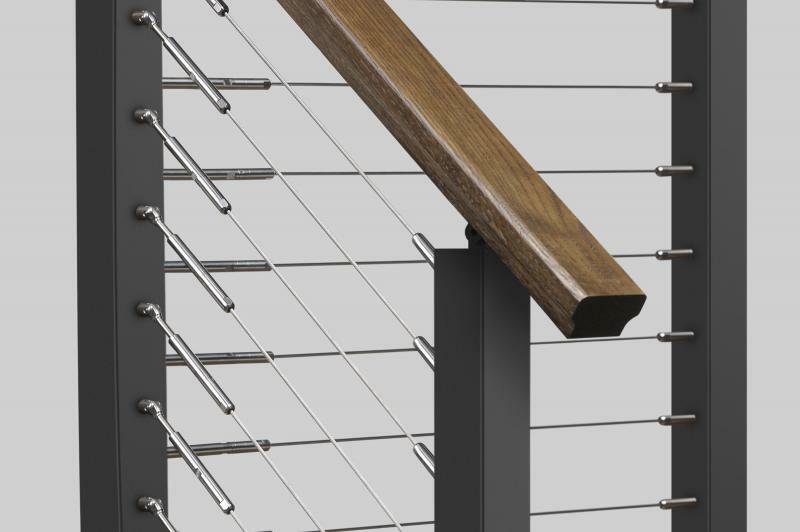 The company’s second new offering adds a dozen metal newel options to its popular Linear Collection, which previously only included wooden newels. The new metal newels are sized and pre-drilled for simple installation of the Marine Grade 316 stainless steel cables that run between for a clean, industrial-feel indoor or outdoor stairway. "The metal newel posts married with the stainless steel cables creates a stunning stairway system for both interior and exterior use," says Kurtz. "We're now offering open-tread, kneewall, level-run, and transition metal newels in this product line so that installers and homeowners can easily gain a truly complete metal railing system." Box treads are also available for a modern and open design. The company’s swageless cable fittings eliminate the need for expensive installation equipment, L.J. Smith says.